In order to advocate ad promote the virtue of thanksgiving and piety, [Eastern States Buddhist Temple of America] and its city campus [Mahayana Temple] will hold a [Winter Solstice Memrial Ceremony] of Thanksgivin and Piety as well as the [Ceremony of Longevity Blessing] on both Saturday and Sunday, December 24th and December 25th at [Mahayana Temple]. In the ceremony, there will be reciting of the Sutra and chanting of Buddha’s name. The virtue of the practice will be dedicated to our departed loved ones; may they be reborn in the Pure Land and realize the Buddha path. Saturday & Sunday 10:00 AMPs: Vegetarian lunch will be served on above dates The total chanting fee for winter solstice memorial plaque is $25.00. 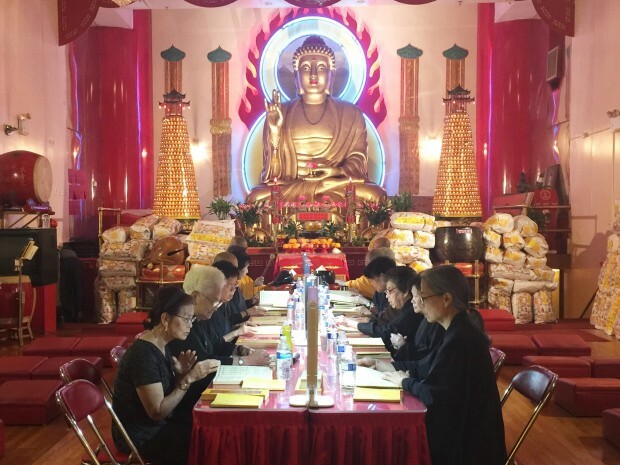 Please have the check or Money Order payable to Eastern States Buddhist Temple of America. Or come to the temple in person to register.